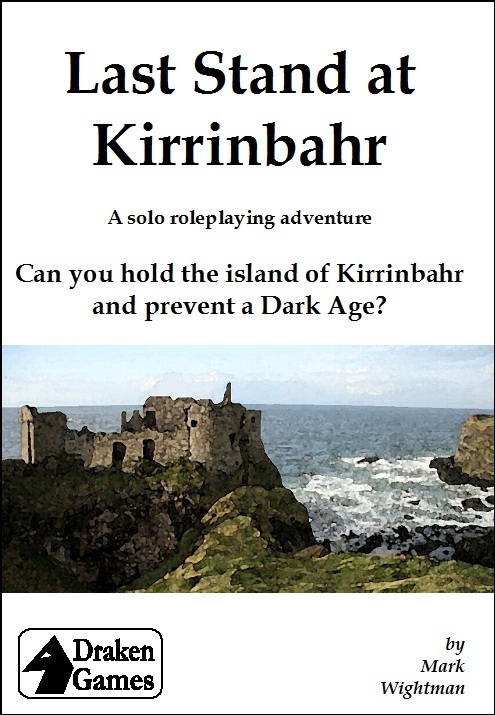 Inspired by the "Fighting Fantasy" series, "Last Stand at Kirrinbahr" is a solo fantasy role playing game book where you take on the role of the hero and play your part in deciding the final outcome. As well as the scenario, the game book includes full rules, maps and character sheets - all you need are two six-sided dice and a pencil! "Last Stand at Kirrinbahr" features mapping and inventory management along with a plot line full of twists, turns and epic combat. Please note you need to set the maps aside to refer to at appropriate times in the adventure - try not to read them in advance if at all possible!